Dessicant uses analog and electronic devices to conduct sonic rituals, a portable portal into strange, grey realms with twitching blurred outlines. Its like peering into a dirty fishbowl, with a human head in it. Inspired by anyone who has ever aspired to blend magick and art. This entry was posted in Hermetic Library anthology and tagged 2013, anthology album, bones, dessicant, fire, imbolc, j simpson, magick, magickal working, music, ritual, skin, winter on February 18, 2013 by John Griogair Bell. The Hermetic Library Anthology Album – Magick, Music and Ritual 1 is now available for immediate download! Also, back on Dec 3rd 1996 the domain hermetic.com was registered. Today is Dec 3rd. So, this anthology album is being released today in order to also celebrate the birthday of the Hermetic Library itself. So: Happy Birthday, Hermetic Library! The Hermetic Library at Hermetic.com has an overall vision of Archiving, Engaging and Encouraging the living Western Esoteric Tradition. This is an anthology album of tracks by artists inspired by or who incorporate ritual and magick in their work. 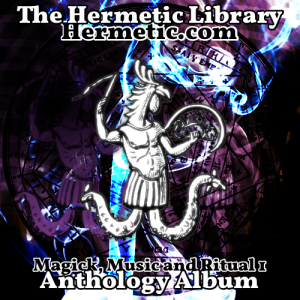 This anthology album will help promote artists to the audience of the Hermetic Library and beyond. It will also further raise awareness about the connection between magick, music, and ritual. Over the last year, as a project of the library, I have created a group at SoundCloud, the Hermetic Library audio pool, for tracks and artists inspired by or manifesting the Western Esoteric Tradition. With this group I’ve been working to raise awareness that music and performance can be a form of ritual and magick. This has been a space for artists to share their music and other audio, as well as connecting artists who feel drawn to these topics and ideas, or, especially, incorporate and manifest ritual and magick in their works with other artists and a larger audience. Additionally, this album is being released on the birthday of hermetic.com which was Dec 3, 1996. This release date marks the Hermetic Library’s 15th year in existence. This entry was posted in Hermetic Library anthology, The Hermetic Library and tagged 2011, Alka, anthology album, Crossways, David Shoemaker, Ego and the Ids, j simpson, Kim Cascone, Last Three Lives, magick, mahatma dali, music, NVSBL, Pandemonaeon, ritual, SickTanicK, The Contrarian, the moon is a spaceship, western esoteric tradition, Whip Angels, yzzy kyzy on December 3, 2011 by John Griogair Bell. I’ve previously announced the pre-release availability of The Hermetic Library Anthology Album – Magick, Music and Ritual 1 and in just a few more hours … this will finally be released into the world! While that’s incredibly exciting for me, and I’ve been waiting impatiently to finally share the entire anthology with everyone, I want to mention once again that only pre-orders of the anthology album include immediate download of “Inner Conversation” by Mahatma Dalí. This is a 28 minute incentive track available as part of this digital pre-release in 2 parts, in your choice of MP3 320, FLAC, or other formats. This extra material really works well when added together with the entire album, but will neither be included in downloads once the whole thing is released nor will it appear on physical CDs of the anthology. So, if you’re looking to grab that, it’s time to get on that before it is too late! Either way, whether you do decide to preorder the anthology or pick it up when it releases, please join the Hermetic Library in thanking and promoting these artists who have contributed their work to this benefit anthology album project. Please also spread the word to people you think may be interested in the work of artists who combine magick, music and ritual. As a reminder, you can read the original announcement at Pre-release of The Hermetic Library Anthology Album – Magick, Music and Ritual 1 or head directly over to the anthology itself at The Hermetic Library Anthology Album – Magick, Music and Ritual 1. This entry was posted in Hermetic Library anthology, The Hermetic Library and tagged 2011, Alka, anthology album, Crossways, David Shoemaker, Ego and the Ids, j simpson, Kim Cascone, Last Three Lives, magick, mahatma dali, music, NVSBL, Pandemonaeon, ritual, SickTanicK, The Contrarian, the moon is a spaceship, western esoteric tradition, Whip Angels, yzzy kyzy on December 2, 2011 by John Griogair Bell. I recently announced the pre-release of The Hermetic Library Anthology Album – Magick, Music and Ritual 1, and have just added two new options for those looking to also have a physical CD of the anthology. The first option is to pre-order a “Compact Disc + Digital Album” and the second is “Compact Disc + T-Shirt + Digital Album”. Both include a CD professionally mastered by SickTanicK, and professionally pressed, with original cover and insert artwork by me, John Griogair Bell, the librarian. Ordering the compact disc includes the full digital album, of which the two part pre-release bonus track is immediately available. People who pre-order the anthology will be sent an email when the album releases so they can download the entire set. 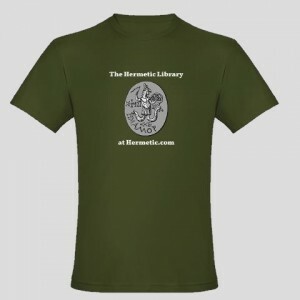 The t-shirt that is available is one of the fitted American Apparel men’s t-shirt with the Hermetic Library logo, made of ultra-fine, combed ring-spun cotton, that gets softer with each washing. These shirts are cut small, so size up for a looser fit. This entry was posted in Hermetic Library anthology, The Hermetic Library and tagged 2011, Alka, anthology album, Crossways, David Shoemaker, Ego and the Ids, j simpson, Kim Cascone, Last Three Lives, magick, mahatma dali, music, NVSBL, Pandemonaeon, ritual, SickTanicK, The Contrarian, the moon is a spaceship, western esoteric tradition, Whip Angels, yzzy kyzy on November 24, 2011 by John Griogair Bell. I am incredibly excited to announce the pre-release availability of The Hermetic Library Anthology Album – Magick, Music and Ritual 1. I have been listening to these tracks for over a week now, as I’ve been getting this pre-release ready, and I think you are all in for a treat. These tracks are really quite amazing. I’ve got 16 total tracks from 15 artists, including a two part track as a special pre-order bonus. Including the bonus, this anthology is a wild 1.5 hour ride through a variety of music from musicians inspired by the Western Esoteric tradition. It goes from ambient and atmospheric through some vocals and then starts to hit hard with some rock and rap and then finishes out with a bit of noise to bring it full circle. I’ve been listening to it nonstop on repeat for this whole week, and I haven’t gotten tired of it. I’m really happy with it, and hope you will all like it as much as I do! Pre-order of the anthology album includes immediate download of “Inner Conversation” by Mahatma Dalí, a 28 minute bonus track available only as part of this digital pre-release in 2 parts, in your choice of MP3 320, FLAC, or other formats. A link to the complete album will be emailed to you the moment it’s released on Dec 3, 2011. Please join the Hermetic Library in thanking and promoting these artists who have contributed their work to this benefit anthology album project by picking up this pre-release, along with the bonus track. Please also spread the word to people you think may be interested in the work of artists who combine magick, music and ritual. This entry was posted in Hermetic Library anthology, Hermetic Library audio, The Hermetic Library and tagged 2011, Alka, anthology album, Crossways, David Shoemaker, Ego and the Ids, j simpson, Kim Cascone, Last Three Lives, magick, mahatma dali, music, NVSBL, Pandemonaeon, ritual, SickTanicK, The Contrarian, the moon is a spaceship, western esoteric tradition, Whip Angels, yzzy kyzy on November 21, 2011 by John Griogair Bell. 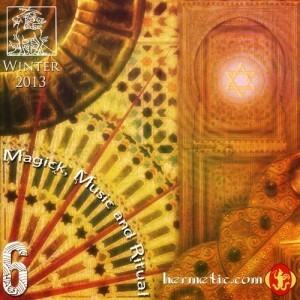 “strange angels” is a track added by j simpson in the Hermetic Library audio pool. This entry was posted in Hermetic Library audio and tagged j simpson, music on November 20, 2011 by John Griogair Bell.